BARDSTOWN, Ky.--(BUSINESS WIRE)--The Bardstown Bourbon Company (“BBCo”) achieved another major milestone today with the installation of its second 50-foot tall, custom made, 36-inch stainless steel Vendome Copper & Brass Works still. Delivered in one piece and hoisted above the 55-foot still tower by crane, the Vendome apparatus was lowered into the center of the building. The new still installation marks the second expansion for BBCo since it began operations in September 2016. 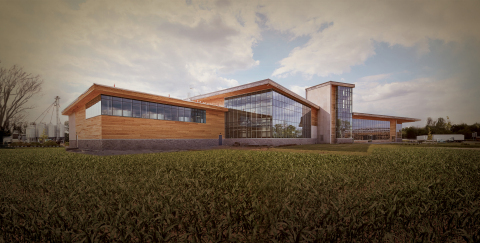 BBCo’s Collaborative Distilling Program is a unique model in the American whiskey market. This first-of-a-kind service provides craft distillers, non-distilling brand owners, and existing brand owners the ability to: (1) work side-by-side BBCo’s production team to create their own authentic and innovative Kentucky whiskey, bourbon, and rye products and mature them onsite; (2) ensure consistent, high quality production that can rapidly scale; (3) control the future source for their product; and (4) provide a production location and environment that they can celebrate and promote. BBCo’s distilling team is led by Bourbon Hall of Fame Master Distiller, Steve Nally – a 40-year veteran of the spirits industry and the former Master Distiller of Maker’s Mark, and John Hargrove, Executive Director of Distillery Operations, formerly Master Distiller and Distillery Manager, at Sazerac and Barton Brands 1792. With more than 40 production employees, the team has an average of more than 15 years of whiskey making experience, working with world-class distilleries, including Jim Beam, Maker’s Mark, Barton Brands, Diageo, and Michter’s. 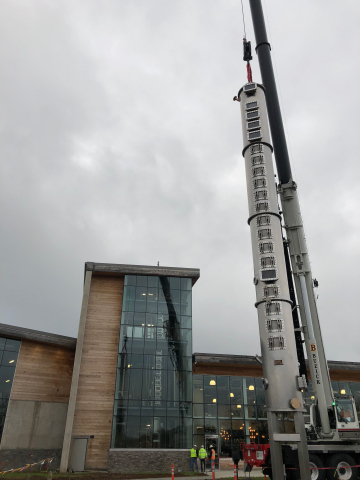 Bardstown Bourbon Company installs a second 50-foot stainless steel Vendome still, which will double its capacity to nearly 7 million proof gallons.